A diferencia de los motores DC con escobillas, los motores BLDC poseen una dinámica altamente no lineal, lo que dificulta el diseño de esquemas tradicionales de control. Por esta razón, en este artículo se propone el diseño de un esquema de control no lineal de velocidad basado en lógica difusa para la máquina BLDC. El esquema es implementado sobre una plataforma embebida H3 Quad-core Cortex-A7 con una GPU Mali400MP2. El código se desarrolló en Python sobre un OS Linux Debian. Los resultados experimentales muestran que el desempeño del controlador es excelente, eliminando sobrepasos y con una rápida respuesta a cambios de referencia. Ahmadi, A., Tousizadeh, M., Mehdi, a., Fadzli, M., Buyamin, S., y Abd, H. (2012). Designing an optimal fuzzy-pid controller for speed tracking of stepper motor. En Ieee symposium on industrial electronics and applications (isiea 2012) (p. 193-198). Chao, C., Yuan, W., y Hai, L. (2016). Siso pid-fuzzy controller for bldc motor speed control base on low cost msp430 solution. En 5th international symposium on next-generation electronics (isne 2016) (p. 1-2). Faraji, I., y Akbari, M. (2016). Adaptive speed control of brushless dc (bldc) motor based on interval type-2 fuzzy logic. En 24th iranian conference on electrical engineering (icee 2016) (p. 1119-1124). Gupta, S., y Varshney, P. (2013). Fractional fuzzy pid controller for speed control of dc motor. En Third international conference on advances in computing and communications (icacc 2013) (p. 1-4). Igleheart, C., Marques, J., Ramirez-Leon, C., Li, Y., Ashrafzadeh, F., y Wilson, S. (2013). A robust pid-type fuzzy logic controller for variable speed motor drives. En North american power symposium (naps 2013) (p. 1-6). Jianli, J., Yanchun, W., y Yinghui, H. (2016). The fuzzy-pid control of brushless dc motor. En Ieee international conference on mechatronics and automation (icma 2016) (p. 1440-1444). Kantawong, S. (2015). Smart men tailoring dummy robot using dc stepper motor with rfid and fuzzy-pid control system. En 2nd international conference on advanced informatics: Concepts, theory and applications (icaicta 2015) (p. 1-6). Kumar, R., y Febin, J. (2013). A novel self - tuning fuzzy based pid controller for speed control of induction motor drive. En International conference on control communication and computing (iccc 2013) (p. 62-67). Sang-Hoon, K. (2017). Electric motor control: Dc, ac, and bldc motors (1. a ed.). Elsevier Science. Shanmugasundram, R., Muhammad, K., y Yadaiah, N. (2014). Implementation and performance analysis of digital controllers for brushless dc motor drives. IEEE/ASME Transactions on Mechatronics, 19(1), 213-224. Shyam, A., y Daya, F. (2013). A comparative study on the speed response of bldc motor using conventional pi controller, anti-windup pi controller and fuzzy controller. En International conference on control communication and computing (iccc 2013) (p. 68-73). Vahedpour, M., Ranjbar, A., y Agheh, H. (2015). Comparison between performance of conventional, fuzzy and fractional order pid controllers in practical speed control of induction motor. En 2nd international conference on knowledge-based engineering and innovation (kbei 2015) (p. 912-916). Valdez, F., Melin, P., y Castillo, O. (2012). Particle swarm optimization for designing an optimal fuzzy logic controller of a dc motor. En Annual meeting of the north american fuzzy information processing society (nafips 2012) (p. 1-6). Xiao, H. (2013). Research of the fuzzy control system for brushless dc motor based on tms320f2407. En 5th international conference on intelligent human-machine systems and cybernetics (ihmsc 2013) (p. 385-387). YiMing, L., Yuebin, W., Quanfeng, Y., y Wei, H. (2013). The technology study of fuzzy control system for asynchronous motor. 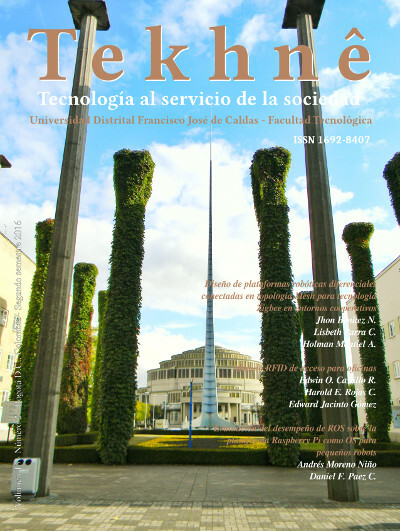 En 3rd international conference on consumer electronics, communications and networks (cecnet 2013) (p. 710-713). Derechos de autor 2017 Jhon Jairo Galvis lópez, José Iván Madrid V.